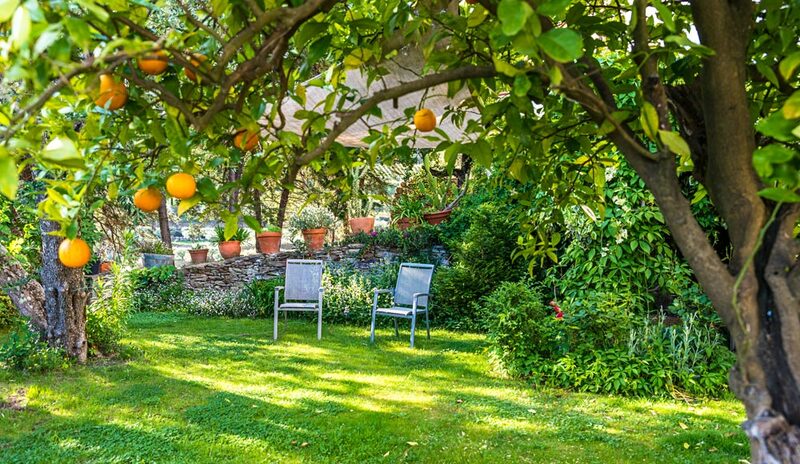 Even in the peak of summer, there’s no reason your garden can’t be as colorful, vibrant, and lush as your springtime landscape. 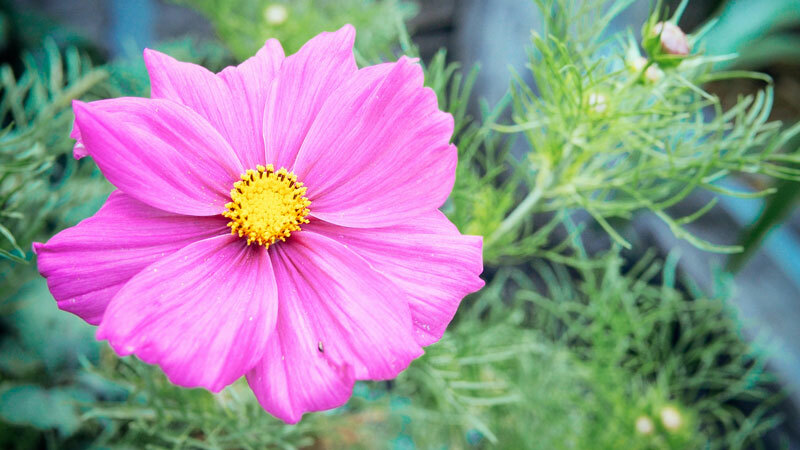 In fact, you can keep your garden blooming all season long by adding these stunning, heat-loving plants to your beds, borders, and containers as soon as the mercury starts rising. While most are perennials in mild climates, they can be planted as annuals to replace springtime varieties that struggle in the heat. As a native to the tropics, lantana likes it hot and humid, and grows best in moist, well-draining soil (but can withstand drought conditions). It thrives in the sun, especially afternoon sun, and blooms year-round in tight clusters of red, orange, yellow, pink, or white. The flowers are ideal for planting along the perimeters of vegetable gardens, as they’re irresistible to bees, butterflies, and hummingbirds. Place them near crops that need to be pollinated, such as squash and melons. This hardy, sun-loving herb hails from South America but is now grown around the world. It’s said that in summer, Victorian women used to find relief from the sweltering heat by packing lemon verbena leaves in their handkerchiefs and inhaling the sweet, citrusy aroma. 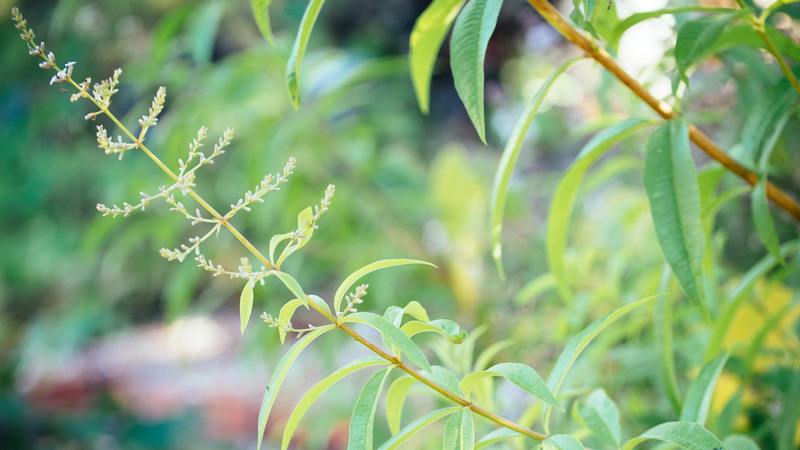 Nowadays, you can simply plant lemon verbena near your doors and windows for a whiff of the pleasing scent. 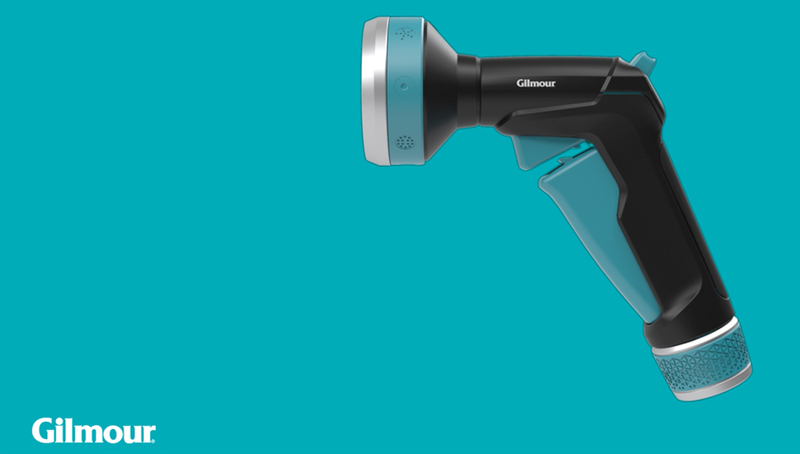 It needs only weekly watering with the Gilmour Flexogen Super Duty Hose and a watering nozzle once established, and puts out pretty white flowers in late summer to early fall. These tall, showy annuals with silky, daisy-like flowers are native to Mexico, able to take the heat and the drought—thus making them ideal for desert gardens or areas with poor soil. 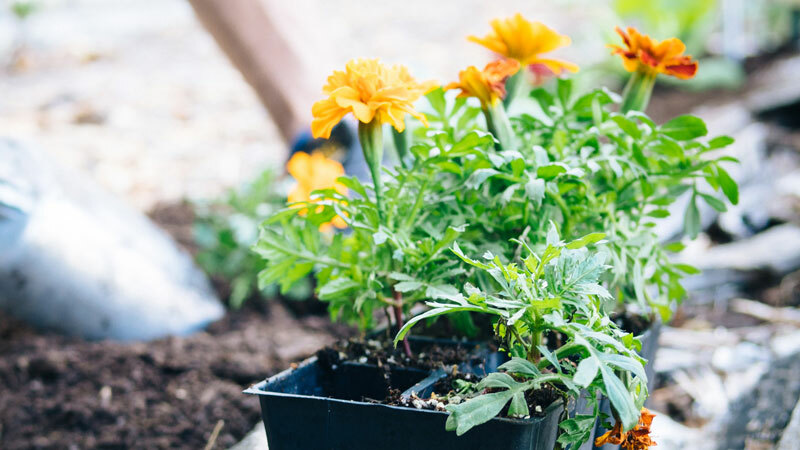 In fact, soil that is too rich will make them weak-stemmed and floppy, so plant them in beds you’ve long neglected if you want to inject a lot of color in your space with little to no maintenance. Marigolds appear on almost every list of ideal warm-weather flowers, and for good reason: they’re classic (especially as container plants and bedding plants), easy to grow, come in cheerful tones of orange and yellow, and bloom in summer and fall when many other plants are griping about the heat. Plant them in well-draining soil in full sun, and water well at the root zone, allowing the soil to dry a bit between watering. Geraniums have always been known to tolerate heat better than most plant species, but the recent development of hybrid geraniums has meant varieties that can take on tough climates like Texas and Arizona, where 100-plus-degree summers are the norm. To keep them healthy, however, they need consistent moisture and should be watered with a Thumb Control Watering Nozzle when the first 2 inches of soil are dry. They’re also happier in the long run if given dappled afternoon shade in the height of summer. 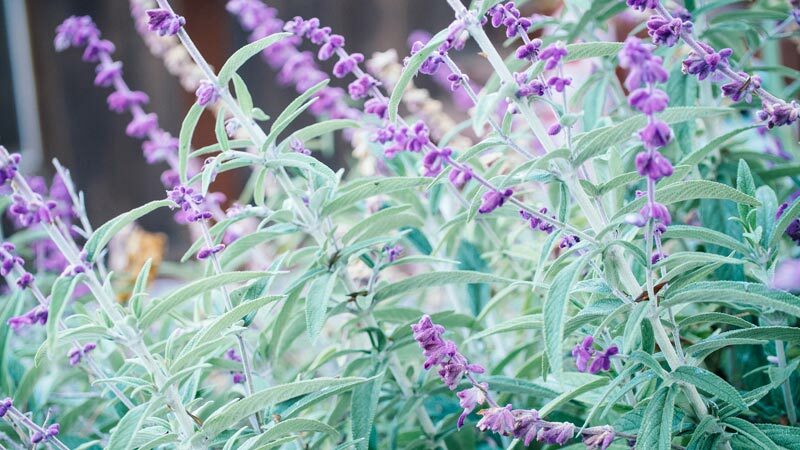 Salvias (also known as sages) are long-blooming, deer-resistant, easy to grow, and easy to care for. Being native to the Mediterranean, salvias are heat-tolerant, prefer full sun, and thrive with minimal summer watering, making them ideal for dry gardens and drought-friendly landscapes. The most striking salvias have masses of showy blue or purple flowers that bloom all summer long and attract a variety of pollinators. Sedums (stonecrops) are a group of succulents that are as low-maintenance as they come. 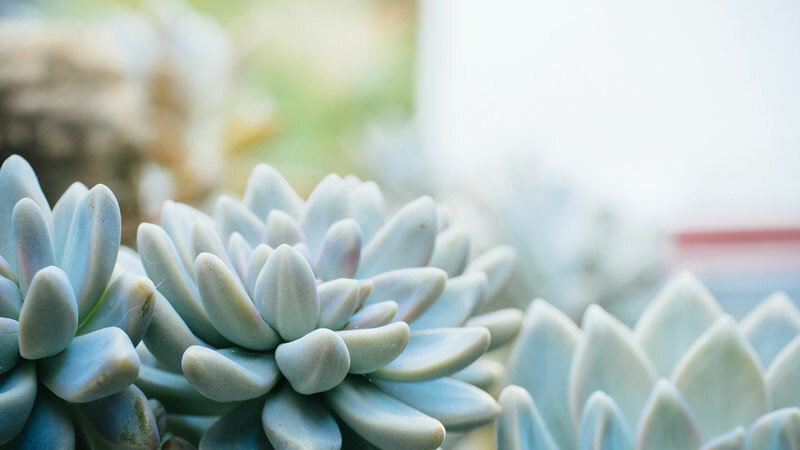 Resistant to drought, heat, humidity, and poor soil, sedums survive in less-than-ideal conditions by storing moisture in their thick, succulent leaves. 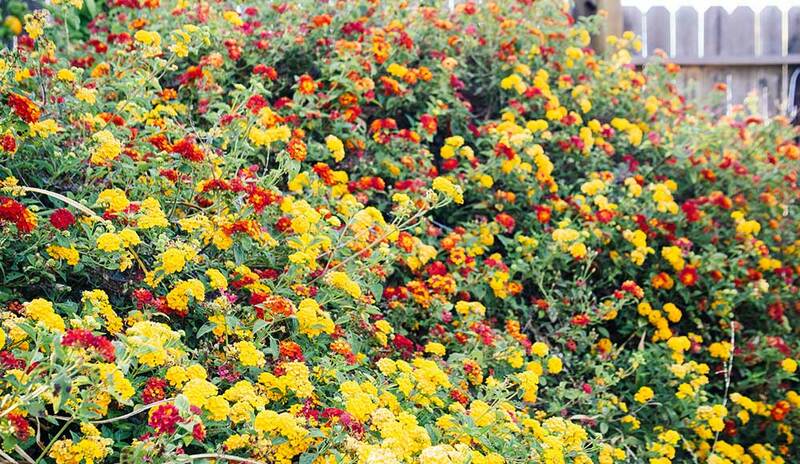 These qualities make them excellent choices for arid climates and rock gardens that still want a bright infusion of color when the dense clusters of flowers appear in summer. Sedums don’t like having wet feet, so make sure to put them in well-draining soil in full sun.